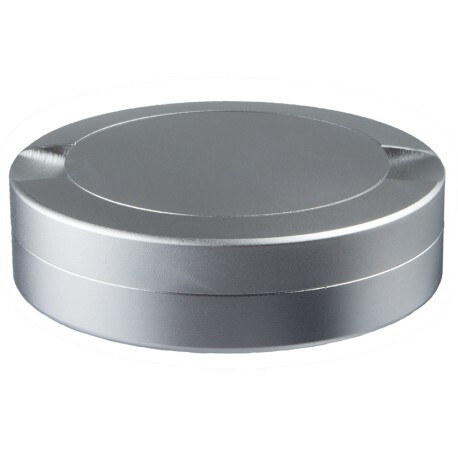 Carry your snus in style with the DUS Aluminum Silver Snus Can with Catch Lid! This is a quality product with a tight fitting seal to keep your snus fresh and you used snus secure. DUS Snus Cans have character. If you're lucky, you'll get one with small die marks or unique marking and imperfections lending to the industrial character of the cans. DUS Aluminum Silver Snus Can with Catch Lid is a quality metal snus can with a flush catch lid for storage of used snus. Dump your cheesy plastics snus cans and switch to industrial aluminum!